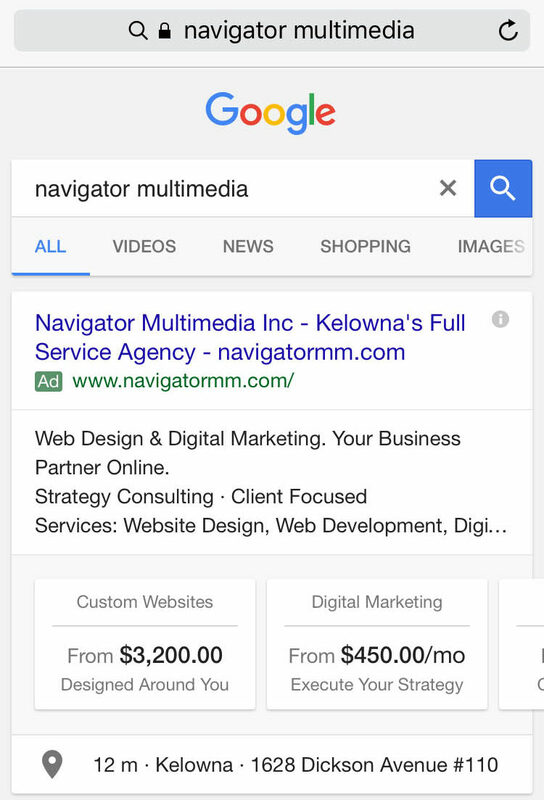 Google recently rolled out a new feature for Adwords advertising accounts: Price Extensions. These extensions allow advertisements on Google Search to display a list of products/services and their prices. This extension is exciting for a few reasons. The main one being it takes up an absurd amount of real estate at the top of the results page on mobile devices. It’s also a competitive advantage to list your prices right in the results, with a link to the relevant page on your site. Pre-qualifying traffic can often be a useful tactic in PPC advertising. The downside is that it won’t always fire consistently. The extension is supposed to fire only for the top placed ad, meaning businesses are going to bid up to get that top spot and be eligible to display the extension. The result is going to be higher mobile cost-per-click prices on competitive Adwords keywords as advertisers jockey for that top spot. Let us know what you think about these new extensions on Facebook or Twitter!